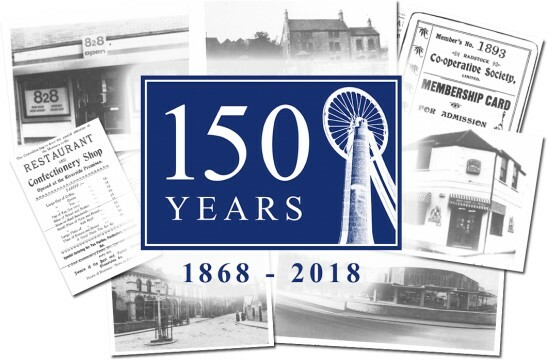 We celebrate our 150th anniversary this year. To mark this achievement a book is being launched with a book signing event on 15 May from 10 – 12 at the Radstock Museum. Members of the Society will recive £2 off the admission price. An exhibition of the Society’s history runs from 1 May to 30 August. To mark the 150th year of our existence, we have put together a programme of events which all our stores are participating in. We hope this will be of interest to our customers and we look forward to sharing our celebrations with them.